My daughter’s (11 and 13) came up with this Halloween Costume DIY project. They were able to be seen and they stayed warm. I used 3 packages of small, 1 large, and a very small amount of packing tape. So out of pocket $5 costumes for 2 kids! Lay your sweats out on a flat surface. 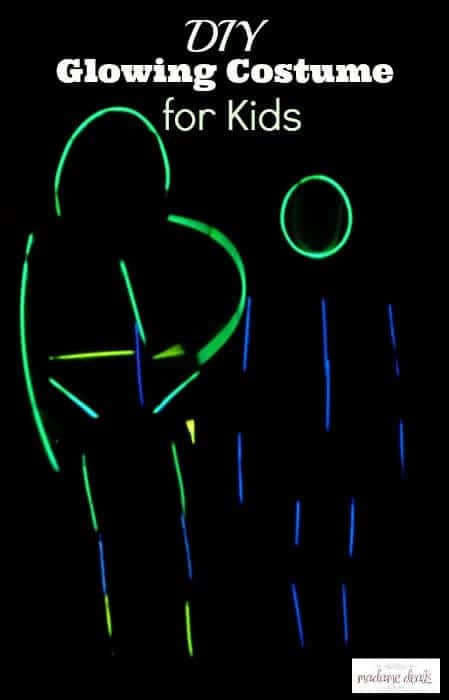 Crack the glow sticks and shake them well. 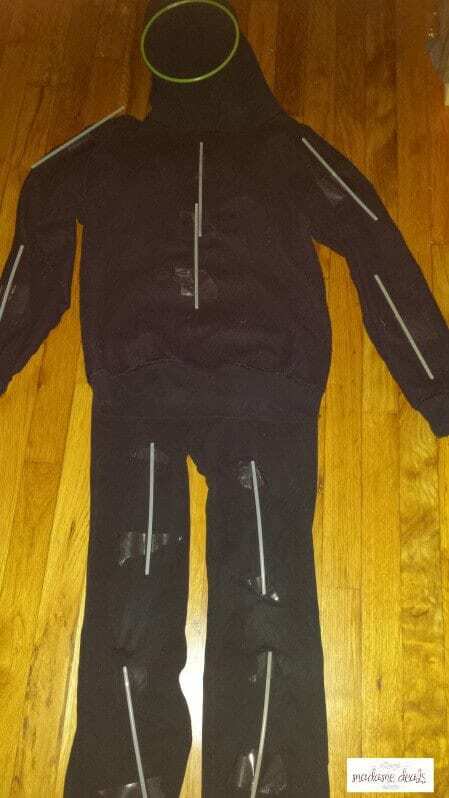 Place the glow sticks on the legs of the sweat pants holding them in place with a piece of packing tape. For the arms you can repeat the method used on the legs or you can use 1 long necklace sized glow to stick using the tape to hold the ends in place. Place 2 bracelet sized glow sticks down the middle of the hooded sweatshirt using tape to hold them in place. 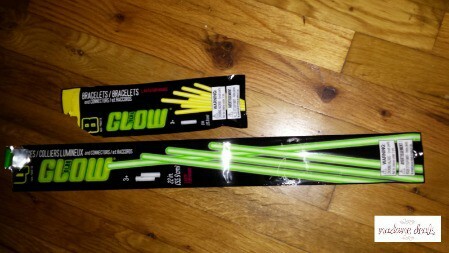 Use 1 long necklace sized glow stick and using the connector supplied connect the ends. Tape this glow stick to the inside of the hood of the sweatshirt. For more Halloween Costume DIY projects check out our DIY Halloween Costumes round-up.